Helping those who can’t help themselves and preparing North Carolina for continued growth: These are two of the guiding principles that Gov. McCrory said were behind his proposed budget for the fiscal year that begins in July and that will be released this week. However, these two stated principles in particular, on a list of many, highlight a disconnect between rhetoric and actual policy decisions enacted in recent years. The Governor made a case for how his proposed budget meets these two particular principles by highlighting the $2 billion infrastructure bond that North Carolina voters passed earlier this year in March. The Governor’s proposal also includes about $36.3 million additional dollars for mental health and substance abuse treatment, health services for individuals with Alzheimer’s, and developmental disabilities services. These proposed public investments are positive steps, yet fall far short of meeting the needs of a growing state. 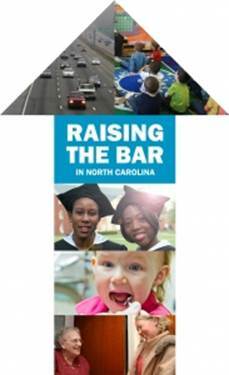 This post concludes a series on the state budget featuring the voices of North Carolina experts on what our state needs to progress so that all North Carolinians have a fair shot to get ahead. State lawmakers will return to Raleigh next week to convene this year’s short legislative session. One primary task for lawmakers is to revisit the state budget for the upcoming fiscal year that begins in July and make needed and desired revisions. More tax changes may also be pursued, which would have implications on what the final state budget looks like and whether spending priorities to meet growing needs can be met. The desire for more income tax cuts by state leaders would build onto tax changes passed in recent years that have largely benefited the wealthiest in the state and that have significantly reduced revenue available for public investments. A recently released BTC report highlights the tax swap that has resulted from recent tax changes. Costly income tax cuts have given tax breaks to the wealthiest and profitable corporations. Meanwhile, the sales tax has been expanded to include more goods and services, which particularly harms families and individuals that struggle to make ends meet. Consequently, this tax swap – a greater reliance on sales tax and less on income taxes – has shifted the tax responsibility to low- and middle income taxpayers and away from the well-off. Since 2013, the tax burden on low income taxpayers has increased by $30 on average while it has decreased by around $15,000 on average for millionaires. The significant revenue loss from the tax cuts cannot be overlooked. The annual revenue loss once all tax changes are fully in place is at least $2 billion. These are dollars that otherwise would be available for the economy-boosting public investments that have been lifted up in the Raise the Bar blog series this week – investments such as reducing persistent Pre-K waiting lists, ensuring that public schools have adequate resources, making higher education more affordable, ensuring healthcare services for the elderly and poor, and helping ensure that economic growth extends to rural and distressed communities across the state. The results are clear: Even as the tax swap delivers big tax breaks to the wealthy, it reduces resources available for public investments that build a strong economy. North Carolinians should be alarmed by state leaders’ short-sighted focus on tax cuts and their desire to continue North Carolina down this path. Sound fiscal policy choices are needed to build a stronger, more inclusive economy and a brighter future that all Tar Heels want and deserve. It is this vision of building an economy that works for everyone that should guide lawmakers’ decisions during the upcoming legislative session. Gov. McCrory and state leaders have signaled intentions to include a pay raise for North Carolina teachers in their respective proposed budgets for the upcoming fiscal year that begins July 1, 2016. The specifics of what a pay raise will entail remains unclear. However, what is clear is that providing educators a meaningful raise conflicts with tax policy decisions in recent years. The priority placed on cutting income taxes for the wealthy and profitable corporations mean that movement to the national average for North Carolina’s teachers will be next to impossible and that progress on teacher pay could come at the cost of other classroom investments critical to students’ success. The Governor’s proposed teacher pay raise will cost around $250 million but would not get average teacher pay to the national average and would fall short of even leading the southeast region. In addition, because of other priorities highlighted by the Governor – additional funding for broadband connection for schools and more funding to support students with disabilities, among other initiatives – a sustainable way to fund all of these critical investments in classrooms is unlikely. Accordingly, the Governor providing a way to pay for these proposals is critical to ensuring that they can be sustained. And that means revisiting the planned phase-in of reductions to the personal and corporate income tax rates in future years. Tax cuts enacted since 2013 that largely benefit the well off and profitable corporations will reduce annual revenue by more than $2 billion once all tax changes are fully phased in. These are dollars that otherwise would be available to get average teacher pay for North Carolina teachers to the national average, boost investments in the state’s education pipeline (e.g. eliminate Pre-K waitlists, funding for classroom textbooks, etc.) and other public services. The constrained revenue picture as a result of costly tax cuts in recent years makes such opportunities merely wishful desires. And despite recent news of expected better-than-projected revenue for this current fiscal year, this does not mean we have adequate revenue to meet the needs and priorities of a growing state. State leaders have expressed a desire to pursue more tax cuts that will further reduce available revenue and that will further make providing teachers a meaningful pay raise impossible – unless significant funding cuts are made to other areas of the state budget. The reality is that tax policy decisions in recent years and a desire to continue this tax-cut approach makes providing North Carolina teachers a meaningful pay raise fiscally unsustainable and unlikely to happen. Revenue remains up in North Carolina. This isn’t surprising as the national and state economies are growing. Revenue collections are expected to be $237 million above projections for this fiscal year, which is welcome news. However, as previously highlighted, this better-than-anticipated revenue does not mean we have adequate revenue to meet the needs and priorities of a growing state. Costly income tax cuts enacted in 2013 greatly reduced revenue for public investment – reducing annual revenue by around $1 billon. Last year, state lawmakers passed more tax cuts that, once all tax changes are fully in place, will reduce annual revenue by more than $2 billion. These are dollars that otherwise would be available for public schools, affordable higher education, healthcare services for the elderly and poor, and helping ensure that economic growth extends to rural and distressed communities across the state. The projected $237 million in better-then-anticipated revenue falls far short of what’s needed to adequately address challenges we face as a state. Getting average pay for North Carolina teachers closer to the national average, reducing Pre-K waitlists that totaled more than 7,200 children last year, helping promote economic growth in rural and distressed communities, and improving the states foster care system are among challenges that require additional state funding support. Many other challenges exist – ensuring affordable higher education and a growing elderly population – that have implications on the economic health and overall quality of life for North Carolinians. While better-than-anticipated revenue is welcome news, such news does not serve as validation of costly tax cuts passed in recent years. Nor does this news mean that North Carolina is positioned for broadly shared economic prosperity in the years ahead. Rather, concern about whether our state will truly be able to keep up with the needs in a growing state that seeks to remain competitive and an attractive place to live should continue. Today North Carolinians will begin paying sales tax on various installation, repair and maintenance services on everything from appliances to musical instruments to vehicles. This modest expansion of the sales tax base was included in the state budget passed by state lawmakers last year and represents another step towards aligning the state’s tax code with a more service-based economy. Today, the purchase of services is far more common than the purchase of goods compared to prior periods and this economic activity trend is likely to continue. The effort to better align the state’s tax code with a 21st century economy is important. However, proponents of the sales tax move have used this good tax policy to fuel far more bad ones. The sales tax base expansion is part of a larger transformation of the state’s tax code that shifts away from the income tax, which is a better tax policy tool for achieving long-term revenue adequacy via a structure that’s based on ability to pay. Furthermore, this shift away from the income tax and to a greater reliance on the sales tax fails to acknowledge the increased tax responsibility on low- and middle-income taxpayers and away from the wealthiest who have reaped the greatest benefits from tax changes since 2013.